Whether you are an avid camper or hiker or want to take precautions at home in the event of an emergency, having a first aid kit that can deal with most injuries and common illnesses is a necessity, you never know when accidents could happen. 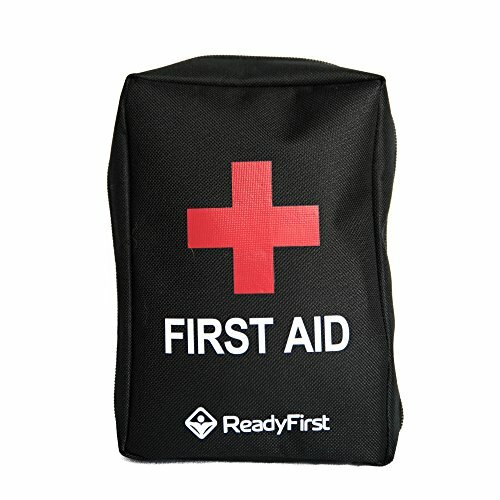 This first aid kit from Ready First is a 24-hour personal first aid kit that is designed for campers, hikers, hunters, and fisherman. It is able to treat most injuries and illnesses and keep you healthy for enough time to let you find proper medical care or to be rescued. The kit also comes with emergency and survival extras, such as a compass to help you navigate, tweezers for any pesky splinters and an emergency blanket in the event you need to stay overnight. The pack itself is durable and strong, as well as waterproof. This kit from Surviveware is designed for exactly that, survival situations. The bag is made of 600D polyester, a strong material that is made to last. The inner contents of the bag are waterproof, perfect if you are at sea or caught in adverse weather conditions. The kit itself contains 100 essential life-saving pieces, all packed into a kit that weighs only 1 pound, allowing this kit to fit into any pack without weighing you down at all. Each inner sleeve is labeled with its function, ensuring organization and allowing you to find what you need quickly. 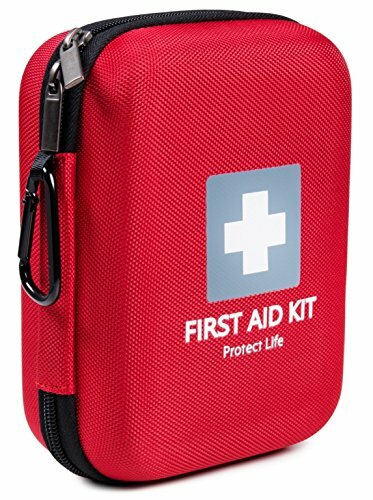 This general first aid kit from Protect Life is another brilliant compact kit that is perfect for backpackers, campers, storing in your car or RV or to keep in your home. It has all the basic medical gear to deal with most injuries and illnesses. The pack itself is lightweight, compact and durable, and can easily fit into a pack, a cubby hole or attach it to your hiking or travel bag. The kit is also highly organized, allowing you to find exactly what you need quickly, and without having to unpack everything. 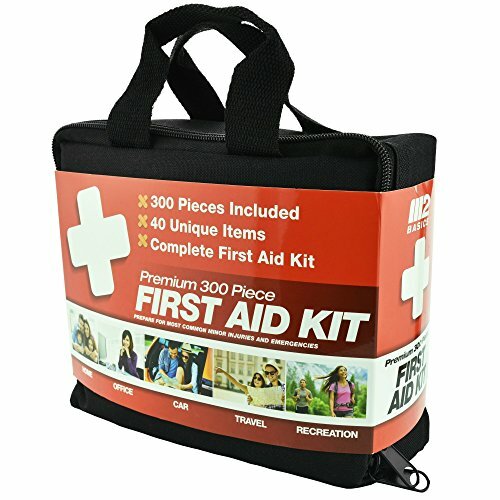 This 300 pieces first aid kit from M2 has 300 pieces, and 40 unique items. It has everything from gauze, to bandages, medical face masks, emergency eye patches gloves, tweezers, medical scissors, and tourniquets. 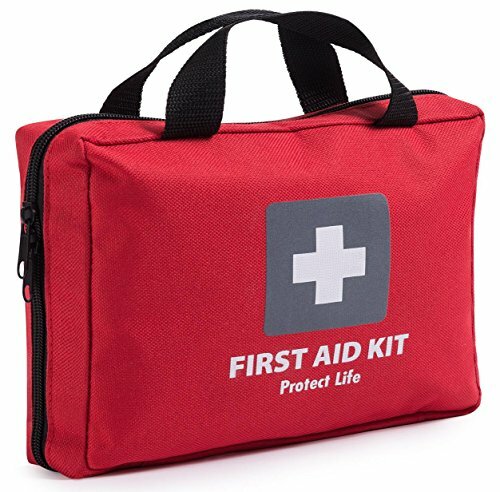 This is the ultimate family first aid kit, not only does it have all the right gear to deal with the initial injury, wound or illness, but it also has all the supplies to stabilize the injury or wound for an extended period of time, allowing you to find proper medical care. This compact and highly portable first aid kit from Medikit is one of the more deluxe kits on our list. Not only is it packed with all the essential pieces of gear and equipment you may need, but it is all high-quality. The kit itself is small and compact, with the bag made of a strong and durable material, built to last, even in tough conditions. The kit includes sterile eye wash, bandages in different lengths, shapes and widths, an ice pack, an emergency blanket and much, much more. This is another kit from Protect Life, this time with 200 pieces of first aid essentials. 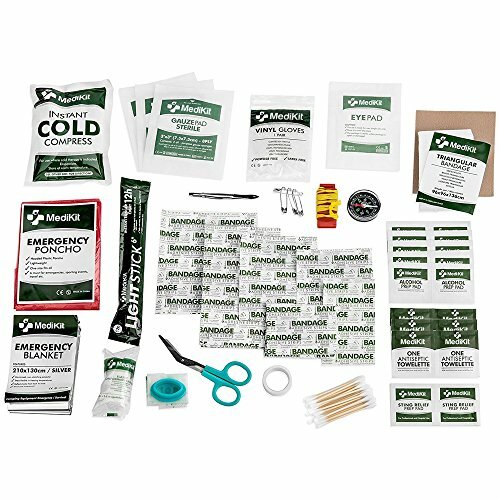 This kit is more for a survival situation, as it is packed with gear such as a disposable raincoat, a glow stick for signaling, as well as an emergency blanket. The bag of the kit is tough and durable, made with ripstop fabric and strong, reliable zippers. Not only can this bag take a beating, it will also protect its contents brilliantly. It also may be packed with gear, but it is still lightweight, compact and easy to travel with. 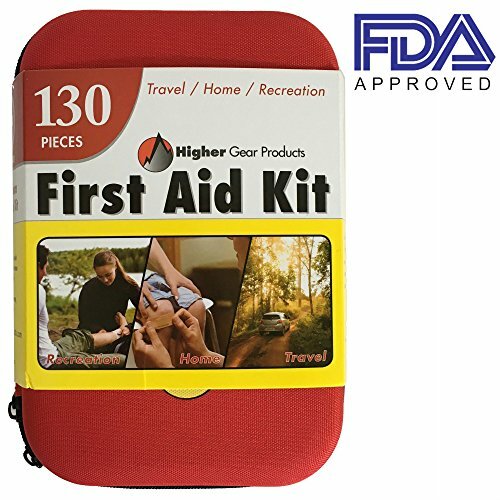 This first aid kit from Higher Gear is a brilliant kit to store in your car or camping gear. The bag itself is a waterproof hard case bag, allowing it to take damage. The zippers are strong and easy to open, with the inside being highly organized and having space for extra items. 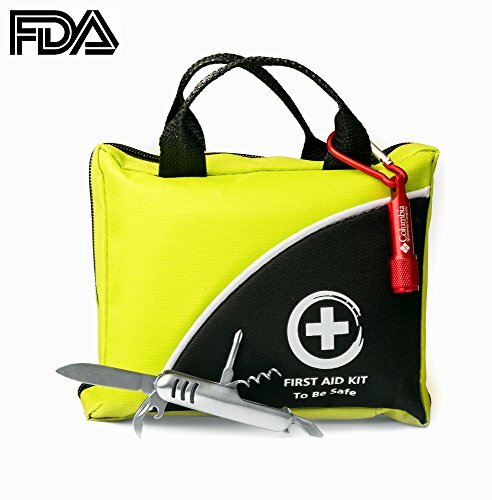 This kit is designed by medical professionals and has all the essential medical grade emergency, trauma, and survival items and tools. You will also receive a complimentary eBook to help you build the ultimate disaster survival first aid kit. This first aid kit from Gamal falls more towards a survival and emergency kit. It is brilliant to take along on a camping or hiking trip, as it has a flashlight, a basic pocket knife, a compass, a glow stick, and a carabiner clip to allow you to attach it to your pack or belt. 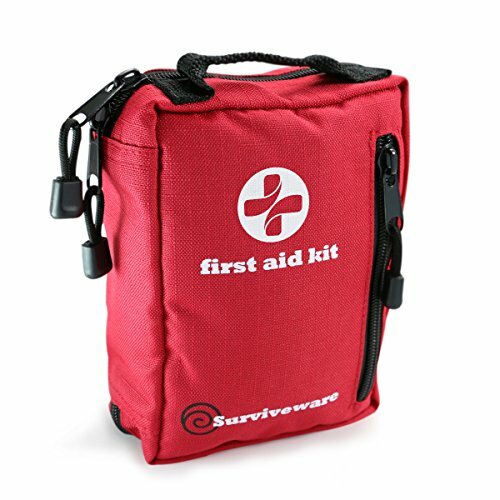 This kit is designed with all emergencies in mind, whether it be an injury, illness, or a survival situation where you need to find help quickly. The kit has bandages, tweezers, a poncho, a blanket, medical ointments and much more. 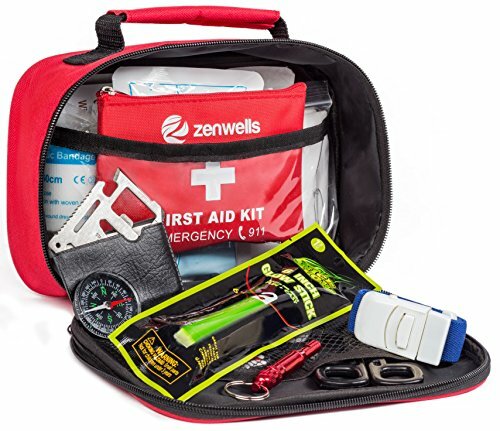 This first aid kit from Zenwells is a 2 in 1 and doubles as a mini survival kit as well. It has everything you need to treat and manage injuries and wounds, as well as having a few pieces of survival gear. The kit itself is lightweight and compact but doesn’t sacrifice on the gear. It has multiple types of bandages, gauze, and ointments. It also comes with a mini kit if you do not need the full kit, as well as a credit card multi-tool, a glow stick, and an emergency blanket. 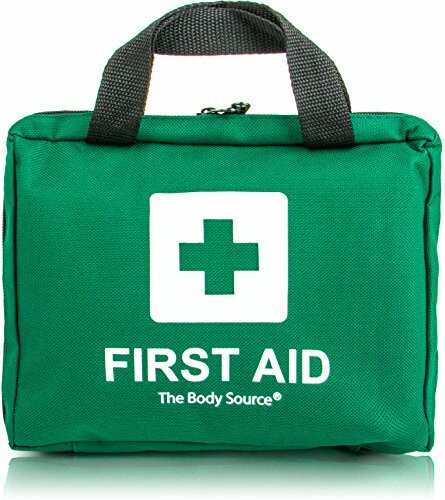 This first aid kit from The Body Source is Amazon’s premier first aid kit supplier. The pack contains 90 essential items, including strong metal medical scissors, 2 instant cold packs, and a large foil emergency blanket. The kit has a durable, lightweight and extremely hard-wearing outer bag that is difficult to break and tear. The bag is also highly organized and contains multiple labeled pockets, as well as extra storage space for anything else you want to add. Having a well-stocked and well organized first aid kit can sometimes be the difference between life and death. No matter where you are, out on a hike, on a camping trip or simply at home, an accident can happen at any time, and you will want to be prepared for it.